Learning about capital letters through the alphabet matching game. This is an independent activity that my children are enjoying at the moment. 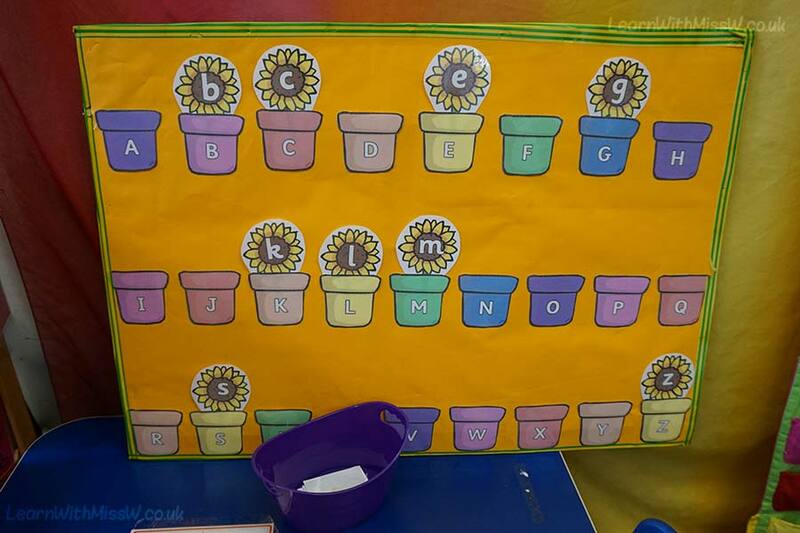 The capital letters are in alphabetical order and are taped onto the board. The small letters are scattered in a sand tray filled with shredded paper. Both flowers and pots are printed out from Twinkl.co.uk. Most children can match the most obvious letters and I found it really sweet that they seem to be learning from each other when they work together. Here’s the link to the sunflowers (www.twinkl.co.uk/resource/t-w-3734-a-z-alphabet-on-sunflowers) and for the pots (www.twinkl.co.uk/resource/t-w-4584-a-z-alphabet-on-plant-pots).